We specialize in a wide range of skin care treatments to leave your skin looking and feeling its very best! With over 25 years of experience, we'll work with you to design a customized plan to help you achieve your skin care goals. Whether you want to treat wrinkles, age spots, acne, dry skin, rosacea or are looking to reverse the effects of smoking or sun exposure our medical grade facials and other treatments will rejuvenate and improve the health of your skin. The results are softer, smoother skin for a beautiful complexion and healthy glow. Chemical Peels - Safe and effective, chemical peels exfoliate damaged outer layers of your skin for an improved revitalized appearance. 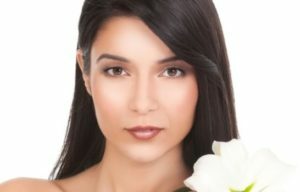 There are many types and strengths of chemical peels. After a personalized consultation, we'll recommend the best one for your skin type and desired results. Dermaplaning - Exfoliates your skin using a special tool that gently removes the upper layers of dead skin and peach fuzz for an ultra smooth look. Perfect for all skin types, including sensitive skin, dermaplaning also helps reduce the visibility of acne scarring and slight wrinkling leaving your skin brighter, smoother and more youthful. Microdermabrasion - Deep cleaning facial treatment that exfoliates the superficial layer of skin cells to improve the overall feel and appearance of your skin. This non-chemical procedure will help lighten age spots and hyper-pigmentation, reduce wrinkles and fine lines, minimizes the effects of sun damage, smooth acne scars and clean clogged pores. Leaves your skin renewed, purified and revitalized.